Update 10/25/13: If you would like a blank Scrivener file with all this structure stuff already in it, drop me an email address to abehrhardt [at] gmail. I tried really hard to upload it – but WordPress won’t let me, and Dropbox won’t let me make a file public. I have it all ready and will just attach it to a reply email. No obligation whatsoever. Use or modify to suit yourself. This is the final Scene Template post, and I will discuss where I currently store all the template’s structure bits in my Scrivener file. Scrivener is incredibly versatile – there are places to store anything you can think of. If you’re not a writer using Scrivener who is a plotter, it will all be gobbledegook – with screenshots – and I recommend you skip the whole thing. If, like me, your current system is getting overwhelming, jump right in. I wish I’d been able to get a copy of someone else’s complete system BEFORE I made the transition, so I wouldn’t have to re-invent the wheel. There are advantages to having the template on a single page and filling it in as a single file, but, for me, that entailed either burying the structure in the same file as the text (using Word’s Hidden text feature) – or maintaining a second, parallel set of files, and updating that simultaneously. Needless to say, the ‘simultaneous’ part of the updating was often out of date. This entry was posted in CFS - living and writing with ME/CFS/CFIDS, WeSeWriMo, Writing - how to and tagged brain fog, CFIDS, CFS, Dramatica, ME/CFS, scene template, structure, writing on August 19, 2013 by Alicia Butcher Ehrhardt. In an insidious form of ‘writer’s block,’ I used to be brought to a complete standstill by something I didn’t even realize was going on: each side of my brain wanted to be the one in control, firmly confident that IT had the ONLY correct method for writing. EVER. The LEFT side of my brain was convinced that we HAD to start by MAKING A LIST. It had good arguments: once everything is written down, I could then focus on each item, do it and check it off the list. This entry was posted in CFS - living and writing with ME/CFS/CFIDS, Gen. Musings, Writing - how to and tagged brain fog, CFIDS, CFS, Dramatica, ME/CFS, scene template, the creative process, writing on August 15, 2013 by Alicia Butcher Ehrhardt. I don’t see a lot of people talking on the self-publishing forums about using Dramatica to plot their novels. I do. This entry was posted in CFS - living and writing with ME/CFS/CFIDS, Free fiction - mine, Writing - how to and tagged brain fog, CFIDS, CFS, digitization, Dramatica, free serialized novel, ME/CFS, plotter vs. pantser, Pride's Children, scene template, structure, the creative process, writer organization, writing on July 6, 2013 by Alicia Butcher Ehrhardt. This entry was posted in CFS - living and writing with ME/CFS/CFIDS, Free fiction - mine, Writing - how to and tagged brain fog, CFIDS, CFS, characters, Dramatica, free fiction, free serialized novel, ME/CFS, plot holes, plotter vs. pantser, Pride's Children, scene template, structure, the creative process, writer organization, writing on May 23, 2013 by Alicia Butcher Ehrhardt. There are marks that a story has to hit to be considered complete. For example, Blake Snyder, in his Save the Cat series on screenwriting, lists what he calls beats (on his ‘beat sheet’), things such as Opening Image, Theme Stated, Catalyst, and Dark Night of the Soul. James N. Frey, in The Key: How to write damn good fiction using the power of myth, has a similar set which he calls a stepsheet that includes marks to hit such as the Call to Adventure, the Confrontation with the Evil One, or Obtaining the Prize; and a set of mythological characters to encounter such as The Armorer, The Evil One’s Sidekick, or the God with Clay Feet. Other theorists have their own sets of points to hit for a novel or screenplay, and other structural systems such as Dramatica have their own collections of ‘pieces’ to include somehow in the finished product. The last part of my Scene template is the section where all these systems have space to assign their points to particular scenes. I call these appreciations, or apps, from the original Dramatica version terminology. Many of these systems have points in common, and are different ways of interpreting features that stories need. Odds are that people evaluating a novel or screenplay for acquisition will have their favorite system- and there is no reason why different systems can’t be accommodated within the same story and story structure. The appreciations remind me that somewhere within THIS scene, I have elected to show, say, my protagonist preparing for the quest ahead by consulting The Wise Woman, or that this scene is the place to illustrate what Snyder calls the ‘All is Lost’ moment. The illustration (‘encoding’) of the appreciation could be a bit of description or setting, a phone call and one or both sides of the ensuing dialogue, or a character’s thought expressing the theme for the reader. My choice – and where the writing and the artistry happen. There are an infinite number of ways to illustrate any appreciation. When done, a list of the appreciations showing the required points, scene by scene, could show an editor or studio exec that the story follows his favorite system* – and ‘validate’ the story’s structure. The point is that if the story needs to have a ‘consultation with a Wise Woman’ in it, I need to know which scene I’ve chosen to put that into. When I’m writing/I’ve written the scene, I can check the beat/story point/mark off my list once it is illustrated somehow. It is bookkeeping – that’s what templates are useful for. 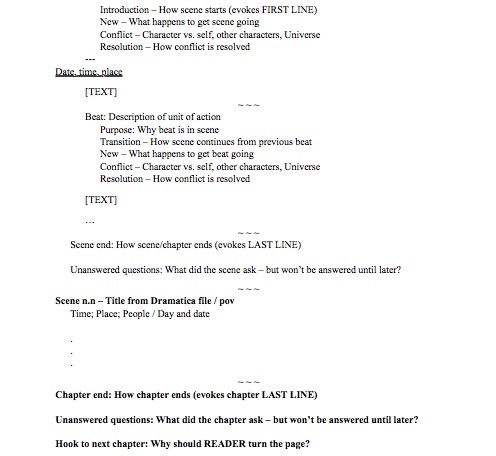 The remaining few lines at the beginning and end of the Scene template situate that scene within its Chapter, and keep track of the action on a larger scale. It looks like a lot of work to create and maintain this much structure. I think of it as preparation before going into battle. I know that when I reach the end, each of my scenes has done its job, and I haven’t left things out. And it frees me up to do what I really want, which is to write the scenes: the stage is set, the actors are costumed and ready, and we get to Action! *This is not an original idea – that you somehow include different ‘systems’ into the same book or screenplay – but I can’t remember where I ran across it. It makes sense – many systems are different ways to accommodate the same structure, and are not necessarily incompatible. There will be one final post on tucking all this structure into Scrivener, and using the Scrivener features to keep track of things; if any of this is useful to you, and/or you have pieces you add to what you do to keep track of structure, I would love to hear about it. This entry was posted in Writing - how to and tagged Dramatica, scene template, structure, writing on January 5, 2013 by Alicia Butcher Ehrhardt. Fiction is not real life. There is purpose to fiction, order. Reproduction of reality is both impossible and boring. Things happen as the author arranges them to happen, and the author is in charge of selecting, out of the huge number of events going on every second, which will get chosen and which will be detailed. If the author tells you the color of the bathroom fixtures, there had better be a very strong story reason for wasting words on such trivia when they could have been used to tell you about the main character’s childhood – and how it influences her choices right now. The book has a beginning, middle, and end – and tells a story. Each chapter has a beginning, middle, and end – and tells a smaller part of the story. Each scene is like a short story, complete in itself – with a beginning, middle, and end. Each beat has a single nugget of information for the reader, a single piece of the puzzle: the Conflict. Each character in a beat has a goal – and that goal is in conflict with the goals of the other characters in the beat. And in each beat, one and only one character wins. Why micromanage to this level? Because it is the most efficient way to get and keep the reader’s attention. If you’ve ever fed a baby, you know how this works. Your goal is to get the food into the baby without taking forever and driving yourself crazy. (The baby’s goal is to play with his food and maximize the pleasant parts of the interaction.) The most practiced feeders keep up a constant stream of spoonfuls going into the little maw (along with patter – you have to have patter – Here comes the train!) so junior neither gets bored nor chokes. Anything missed is collected and re-offered. The next spoonful is prepared and ready as soon as the current one is swallowed, but not offered a moment before that – because that distracts the baby from the bite IN her mouth. An attentive parent keeps up just the right serving size coming, and balances out the favorite sweet potatoes with the required amount of protein, planning the experience so it all comes out even, and a reasonable amount of dinner ends up INSIDE baby. In other words, the feeder PLANS and EXECUTES the delivery, a bite (beat) at a time. The food (information) comes in right-sized chunks, at appropriately-spaced intervals, just as the baby is ready to swallow (absorb) it. This is the author’s JOB. The more complex the story, the more the author has to control the delivery of the pieces to avoid confusion – and keep the story moving always forward. In Writing the Blockbuster Novel, Albert Zuckerman calls these beats ‘Story Points’: he details Chapter 45 of Gone With the Wind, showing how Margaret Mitchell relentlessly keeps the story moving forward by delivering one blow after another, in pieces just big enough for the reader to grasp before being assaulted with the next one. The experience of the reader is PLANNED. Which is as it should be: the writer already knows the story, and is trying to get it across to the reader in the most exciting way possible. For me, planning a scene as a series of beats, each with its own internal logic and conflict, makes it easier to write, because I can hold a whole beat in my head, as a unit. Think flash fiction. Thing anecdote. Think haiku. Heck, think Lego building blocks. If I know the goals of the characters in a beat, I can choose which character wins – and build up a scene out of a series of win/lose moments between the characters. I can deliberately alternate to create a scene that is an argument between the two characters, showing first one winning and then the other. I can create the impression of a cowed character – by showing the other character ‘winning’ all the interactions, one after another. I can escalate the conflict – by showing the ‘win’ getting more extreme in each beat. Again, I find it helpful to write play scenes as a way to duplicate the experience of being constantly kept off balance by what comes next. Theatergoers are spoiled: they want SOMETHING happening every moment – or they get bored and start to fidget. And once I have the spine of the story, with anticipation going into each beat, conflict in the middle, and a tiny bit of resolution at the end followed by things getting even worse, all the rest of the story information (setting, theme, backstory, …) can be tucked in as decoration. This works for plotters in the planning stage – and pantsers in the revision stage. In revision, I take all the good bits, number them, literally cut them into strips, and group them into blobs that somehow ‘go together.’ Then I organize a beat out of each stack of strips by putting them into some kind of order that makes sense out of them, leading up to, through, and out of a tiny piece of the story. As a side bonus, if I need an outline or a synopsis, the fractal nature of writing fiction surfaces again: a list of chapters provides a one-two page summary. A list including the titles/descriptions of each scene provides a more detailed outline twenty to thirty pages long. And if I need an incredibly detailed outline, I simply add the beat descriptions within the scenes. This entry was posted in Writing - how to and tagged contract with reader, playwriting, plotter vs. pantser, scene template, structure, writing on January 5, 2013 by Alicia Butcher Ehrhardt. We don’t put scenes into a story because ‘something happens’ and we need to make it visible. Well, we do, but that isn’t the primary purpose of a scene. And until there is a clear reason for a scene, just putting dialogue, description, and interior monologue around something that happens (Joe meets Sally; they kiss) isn’t enough. All fluff, no substance. Action: What happens in this scene? is basic. And usually obvious: there is some nugget of information the reader has to get to move the story forward. Maybe several. The action is paired with the Scene Title, explaining and expanding for me what is the ‘box’ I’m putting around this event. It is pure plot. A list of Scene Actions would be a bare-bones summary of the plot, in sequential order: this happens, and then this happens, and then the other happens. By labeling it ‘action,’ I also remind myself that people sitting together and quietly talking are risking boring the reader. No matter how well written and how well described it is, a scene where nothing happens is not my aim. Some people might say that literary values would rescue such a scene – and they may be right – but it would bore me to read, and isn’t my style to write. Purpose: is where I make a deliberate choice: why this scene to advance the goal of the scene’s point of view character? My purpose in choosing this scene – and not some other with the same characters – is that I’ve considered other ways to accomplish the character’s goal, and that the scene I’m electing to write is somehow ‘best.’ I may not articulate the details, but there is a richness and a rightness I hope for when including a particular scene in the book, almost as if I were including a particular story in a given anthology. It FITS. It has connections to the rest of the book. It has RESONANCES. Reader emotion: is MY goal in the writing: what do I want a reader to FEEL by the end of the scene? What reaction do I want? Do I want the reader to pity the characters – or blame them? Am I trying to create anxiety or peace? I figure I have half a chance to evoke an emotion in a reader IF I know specifically what I’m aiming for – and almost none if I’m writing at random. It makes my word choices – words have nuances, and synonyms are never equivalent – easier. Making my goal explicit instead of fuzzy ultimately means less rewriting: my Muse is given a tool with which to cull the desirable from the generic, to set a tone, to select the right synonym from the Thesaurus (if I can’t find it in my brain). I get the correct word up front – or know it isn’t right yet. We read fiction, essentially, to have our emotions exercised vicariously. We read to be scared or warmed, worried or self-righteous, to feel pity or disgust or romance, and above all to take risks we wouldn’t dare take in real life – they might get us killed! If taking the reader on a wild ride is the equivalent of entertainment, and I discover that I have six scenes in a row where the best ‘goal’ emotion I can list for the reader is ‘intrigued,’ I’m in big trouble: I am certainly not creating an emotional ride. And if all I can manage is ‘intrigued’ for how a reader should feel when the scene has been read, I’m not trying hard enough, and I need to get off the soft little emotions and make the reader truly believe bad consequences are in store for my characters. Otherwise, I’m not doing my job. Setup: there are a large number of ways to start scenes and I need to sort through them and PICK one to ease the reader into this scene. Something logical for a beginning, and different types of beginnings for different scenes. Dialogue? Description? Interior monologue – superficial or deep? What is the first impression I want to give, the hook, that which makes the reader continue on into the rest of the words? Do I need to set the physical scene? Or indicate time has passed? Comedians do this all the time (they are great at giving us tiny stories): “Three men walk into a bar – a priest, a rabbi, and a Scientologist…” and we’re off, expectations high. What is the reader going to need to orient and not feel lost? That’s my setup. Focus: for the scene, on Plot, Character, or Theme, is not exclusive; a scene can have bits that develop a character at the same time some of the action exposes how the character (or the author) feels about one of the themes evident or intended in the book, but selecting one primary focus – and then alternating them in different scenes – makes sure the finished product isn’t all plot, or the book as a whole isn’t a panegyric to one of its themes. Choosing the focus with awareness can either lead to balance – or The Fountainhead – author’s choice. But it should be deliberate. Writing it down makes me think about it. And gives me a touchstone for when the scene is completed or revised. Reveal: the final entry in this section of the template, is my own contribution, both to the template and to the story: if writing exposes our deepest secrets and fears, and that makes us better writers, if sitting at the keyboard requires us to ‘open a vein,’ this is where I choose the vein. I may go through later and delete all record of the reveals; in any case, all our stories come from somewhere within ourselves, and not to acknowledge that – and USE it – is leaving in the subconscious something of great power. The Reveal WILL be there – anyone who thinks she can write without telling the world who she is, is fooling herself – but if I write it down, I at least have some chance of controlling HOW the exposure happens. I’m not sure you could call all of the above necessarily being a plotter vs. a pantser – it doesn’t matter ultimately whether I do this thinking before or after I actually write a scene – but it works for me to do this kind of thinking at SOME point in the process. This entry was posted in Writing - how to and tagged contract with reader, scene template, structure, the creative process, writing on January 3, 2013 by Alicia Butcher Ehrhardt. The scene header in the template contains critical information for me to situate the scene in time and space – and point of view. Before writing a scene I have to locate it in the space/time continuum of the story – someplace before the end and after the beginning. The Scene Title, written with care, can serve to bring the whole scene back into my memory. I like to keep it to a similar length for each scene, for listing convenience. Brevity is more important than correct sentence structure – anyone who tweets has plenty of practice phrasing things economically. A list of these headers (or of the information contained) serves me as a timeline. The title – and having this kind of a title for each scene – can point out continuity problems and plot holes. 1) Too many scenes in a row from one point of view. If not deliberate, does it need fixing? 2) Simple stupid things like Wednesday May 25th is followed by Thursday May 23rd – because I changed the year in the story and haven’t cleaned up my calendar sequences. 3) Oops! George can’t be here – he already went back to Ireland. 4) If there are two scenes where ‘meets MH’ are listed, it may point out that I changed my mind as to when they met, and that I need to do some cleanup. 5) The story says it rained at noon and brought filming to a close, but this scene is listed as happening at 1 pm – I should either mention it stopped raining (and there was mud – they were filming outside), or write the scene in the rain. In addition, keeping track of which characters are in a scene is very useful if I need to add an interaction between two characters that lets the reader in on a key piece of information; a list of places in my story where the two characters appear together in scenes gives me a choice of places to tuck in a nugget. Having a list of several places where two characters could interact makes it easy for me to motivate a tricky action in a later scene by going back and putting in increasingly-obvious pointers for the reader, so that, when the motivation is needed, the reader remembers having seen something about this before. This keeps the tricky action from seeming to be added on randomly because the plot requires it. If I want Billy murdering Sue by the end of the story, I can show the enmity developing in increasingly acrid interactions. Otherwise, I have a long search through my manuscript and my memory. I note whether characters appear physically in a scene, phone in (so they are actually interacting with someone in the scene), or are discussed by someone in the scene. It doesn’t really matter when the Scene Header is completed, but it is worth my effort to make sure it stays accurate as I go along with the writing OR making sure it is current before revising. One additional benefit: if I need to write a Synopsis, a list of scene headers reminds me of the major plot points and character interactions to tell the condensed version of the story. This entry was posted in Writing - how to and tagged continuity, contract with reader, plot holes, scene template, structure, writing on January 2, 2013 by Alicia Butcher Ehrhardt. Continuing on using a scene template, and what I have found useful to put in it. The template I created is available on the Writer resources page. Before proceeding, I’m not sure this is as helpful for a pantser-type writer as for a plotter. I am the latter, mostly because I hate going down the wrong path for too long. My writing is physically difficult, and I want to get the actual words just right too early in the process, so I edit too soon. Then I have the common problem of getting too attached to my own words, and hating to toss things which have to be tossed. For the tossing, I have a new solution: cut scenes. Movie DVDs often have a section with scenes which, for some reason or another, usually obvious once you see them, a scene was cut from the final movie. Only some of these scenes are restored in a Director’s Cut. I always watch them on the DVDs, and almost always agree the cut was necessary, but some creative instinct led to them being written and filmed in the first place, and that is usually instructive. Now, back to the template. First line/last line – the combination is important (inspired in part by Juliette Wade’s post on TalktoYoUniverse.com and by Donald Maass’ The Fire in Fiction, Chapter 3 – Scenes That Can’t Be Cut). And Outer turning point/Inner turning point. The second concept comes from Donald Maass’ excellent book, The Fire in Fiction, which is, at this point, the book I consult most often when actually writing a scene. On the principle of “If you don’t tell your story WELL, no one will ever find out it’s a good story” – which basically means that you don’t have an idea and a plot, but that you actually have something someone would enjoy reading in EVERY scene of your novel – Maass points out the necessity that in every scene something external has to happen/change as a trigger to what follows (he calls this the Outer turning point; I label it OTP), and that this leads to something happening internally in the pov character (ITP). I don’t write the scene, and I don’t edit the scene, until this part is very clear. The FL/LL combination is equally important (though it sometimes doesn’t come together before the writing starts). It is the line that draws you into reading the scene in the first place, and the line that makes you want to read more. The HOOK to the scene, and the HOOK to continuing. Sometimes the lines come from just asking myself what is the first thing I want the reader to know, and looking at what I’ve written in a first or subsequent draft. I know instinctively, but not necessarily efficiently. The true or ‘best’ first line is often in there someplace within the first two paragraphs, but there is a rightness, an Aha! feeling, a sense of satisfaction when I find the exact placement, the precise piece of information, drag it into the first position AND format it correctly. For example, I may find the exact right beginning somewhere in the internal monologue of the pov character, as a general thought: ‘She thought he probably knew what he was doing.’ Which becomes a single short line at the beginning: ‘He knows what he’s doing.’ The writing is cleaner, shorter, more pithy. And by making it a direct, close, deep thought, its importance is raised from one-of-many to the important thought. This process and this template section has a second benefit. If you string them together for all the scenes in the chapter, a 4-line block of text for each scene, you have the basics of a synopsis of the chapter. FL: The next heartbeat hurt as adrenaline surged. My God, why do you torture me? LL: “…I still have work to do.” Damn. That’s exactly the wrong thing to say. FL: Damn—what did I do? LL: Since when do I crave peace? FL: Finally! And where the hell is Grant? ITP: She loses major interest when Andrew is not there – can Grant tell? LL: I need so many things from him [Grant]. I’m still working on the details – it is WIP – but the thought of what I’m trying to achieve helps me focus on each scene as a linked and necessary part of the story. It also helps shorten the beginning and the end of scenes, and makes me get to the point. Without the specific written focus in my template, I tend to wander, decorating the beginning with setting and other description – all of which, if necessary, can come later, after the reader is committed to reading the scene. And all of which, if necessary, can be cut. Since I tend to write very long, including everything that might be relevant, this is good practice: FOCUS, Alicia. FOCUS. Curiously enough, having a good strong beginning and end, and something important happening in the middle, doesn’t hurt the actual word production, possibly because the brain knows exactly which muscles to attach to which parts of the skeleton to get it to move. BTW, I now have the WIP in Scrivener, and I’m dividing up the various parts of the template into the attached subdocuments Scrivener provides, such as the Synopsis card. But that’s material for another post. This entry was posted in Writing - how to and tagged plotter vs. pantser, scene template, structure, writing on December 24, 2012 by Alicia Butcher Ehrhardt. A manuscript – paper or electronic – represents more hours of a writer’s life than most of us can contemplate losing. But for electronic ones there is a further hazard: having your only machine-readable copy be too old for contemporary computers. The longer it takes from the first word to a published version, in this day of rapid technology change, the more it is possible that your oldest files – the ones you haven’t opened in a long time – are lost. I have at least one complete mystery novel on 3.5″ floppy discs in Macwrite written on a Macintosh. I have a single bound copy of the finished manuscript, and a box in the basement which may contain another. That’s it. DH tried reading the floppies into a Windows machine with no success. That novel is not a high priority – and I do have two paper copies in the event I want to try to publish it again. And I can read it into text with DragonDictate (since I can SEE the words). Or scan and use OCR software plus hand corrections. I haven’t even really tried reading the floppies – they haven’t gone through computer guru offspring yet. The WIP is another matter. 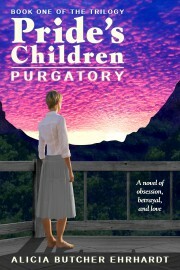 I’m determined to finish Pride’s Children, and post it on the blog’s free fiction page as I edit each Chapter. The manuscript consists of current edited files for the first chapters, the original revised drafts on paper (filling two banker’s boxes), and, I was hoping, digital versions of the third draft. I have completed – thanks Scrivener AND MS Word 2004 for Mac – the scary process of getting an up-to-date copy, into Scrivener, of text that I have been creating since early in the century, on at least four different versions of Macs, starting with a Macintosh I named Excalibur (I can’t remember what it was! ), an iMac, and a Powerbook. The files were so old, some of them, that Scrivener couldn’t open them. Eek! Fortunately, I imported them to my then-new Macbook in 2006 (! ), and haven’t lost them, and Word 2004 (my default wordprocessor until it doesn’t work any more) successfully opened these files so ancient they didn’t have DATES in Finder – and were Read-only – and created new versions in .doc format which Scrivener had no trouble opening. All I lost, during the Scrivener import (it translates to .rtf for import), was Word’s Hidden text feature. I had used it to put my structure, in Hidden text so it wouldn’t print or show if I didn’t want it to, into the same files that held the text. I have decided to keep the structure, in Scrivener, in a parallel set of files, so Hidden text isn’t necessary any more. Scrivener, with its capacity to handle large projects with lots of files in one place, now contains every word – text AND structure. Scrivener even seems to have imported Styles from Word: the files have the same look as they did in Word. I have to dig into that next. But something I have been avoiding for YEARS, and fearing for YEARS, is now done. And I didn’t have to OCR or DragonDictate stacks of paper which contain my backup of a novel which now runs at around 350,000 words. Yup. And which will be divided conveniently into a duology, because with Dramatica for structure, the ability to split was built in a long time ago. Dramatica changes more slowly – I’m on my second incantation (Dramatica Pro 4.0?). There is a more current one which I may upgrade to when I’m finished, but the present version is working fine on the Macbook (I know, I know – ancient software), and I’m assuming (careful there) that the newest version will be backward compatible in reading its files when and if I buy it. I am a slow adopter of new versions, and tend to make the new version (of things such as Firefox) LOOK as close to the old version as the developers will allow, if forced to upgrade because things don’t work, or work too slowly. Not one to go out and get shiny new objects – because I can’t afford the learning curve. Unless forced to. I decided to do Scrivener because it comes with the ability to produce ebooks in various formats, and also seems designed to handle future formats. I don’t object to progress, per se, but I don’t pursue it for its own sake. The cost, to my slow brain, has to be worth it. I can’t often afford the energy and time required to upgrade along with software and hardware, but instead tend to skip as many generations as I think I can get away with. 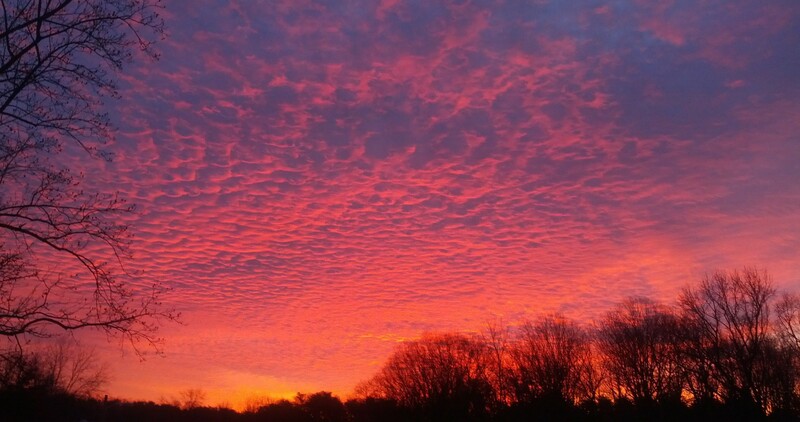 Only this time I almost waited too long. In this case – adopting Scrivener – I was also conscious of the huge disparity in technology over the last decade. Even my Macbook – Version 1,1 – is an anachronism, regardless of the fact that I doubled its RAM (to 2GB!) and upgraded its internal HD from 60GB to 750GB (all by my lonesome – with help from all kinds of info on the web and on Youtube – yay modern learning). Now off to do two things with this massive Scrivener project (which BTW doesn’t seem to slow Scrivener down at all – compared to working with my own file system and in Word, I am amazed already): 1) create the file which I may copyright as a WIP, so that I can 2) start putting the edited novel up on the Free Fiction section of the blog. I am on my way! Comments from writers who have navigated the process of copyrighting novels serialized online especially welcome – after digesting the NOLO Copyright Handbook I can think of at least THREE ways to do it, and none of them sound exactly right. This entry was posted in CFS - living and writing with ME/CFS/CFIDS, Epublishing, Free fiction - mine, Writing - how to and tagged copyright, digitization, Dramatica, scene template, serialized novel, structure, writer organization on November 27, 2012 by Alicia Butcher Ehrhardt. When you can’t depend on interior monologue to get your point across, you lose a huge advantage. As a writer of fiction, you can either be blatant (He felt like death.) or subtle (He remembered med school: learning all the ramifications of the vagus nerve, enervating myriads of gastric components and pathways, useless for pinpointing the source of trouble in his gut, useful only to prove something, somewhere, thought it was wrong. But he’d never expected to feel so many of them. Simultaneously.) when using interior monologue, deep or distant. But you get to choose. As a playwright, you work with action and dialogue. Period. And have collaborators – actors and directors – who may aid you or may fight you, but whom you don’t control. Tradition in the theater preserves the playwright’s absolute control over the dialogue, the WORDS. Many actors and directors will routinely cross out stage directions and the author’s parenthetical instructions on HOW to say a line or move about on stage, but they will not change a WORD of the dialogue. Even in an adaptation of the play ‘Mary Stuart’ in high school, in SPANISH (I was Queen Elizabeth I, the actual lead – whee! ), our director limited himself to crossing out large amounts of dialogue (the play was too long for us), and making the tiniest transitions where absolutely necessary. He would not change the translator’s version of the WORDS. This is an absolute gift for novelists. I urge every novelist to go out and write a play*. Buy yourself $100 worth of playwriting books (buy – so you can write in them). Swallow them whole. Pick a visual story. Write the darned thing (maybe I’ll get back to the how in a later post). And learn to live within the constraints of the form: you tell your story in the DIALOGUE you give your characters. Oh, all right. You also have setting, and choosing WHICH of your characters are on stage at a given time, and stage/dialogue parenthetical directions. But DIALOGUE is your main weapon. And your written dialogue in your fiction gets much better. You shouldn’t do ‘talking heads’ or ‘As you know, Bob’ dialogue, any more than you should do it in a novel – doing so demonstrates a distinct lack of technical skills. It’s “I’m going to paint the Mona Lisa with BOTH hands tied behind my back, using only this paintbrush clenched in my teeth.” Because that’s what it feels like when you start. But it CAN be done. It’s been done since the beginning of time. It can be done WITHOUT a narrator to gum up the works. And it can be done so the audience feels like eavesdroppers, watching something real happening right in front of them, right now. Heady stuff. Ask full-time playwrights. Ask actors and directors. Dialogue in plays is elliptical (not the shape – the punctuation mark), at cross purposes, full of innuendo and half-said things. And lies. Lots of lies. But it must tell the story or you are merely doing pantomime. It has to add up. The WORDS matter. And that is precisely its value for writing the dialogue – and telling the story – in fiction: it has to add up. Doing it with time constraints – on stage – leads to the most economical method of telling a story, the fewest words. Doing it on stage, intended for a live audience which gets BORED and restless within seconds if the pieces of story it is receiving do not add up immediately, is like boot camp for dialogue. The audience can neither skip ahead nor go back to review something unclear. And it won’t like being bored. So you learn to leave nothing out, and put nothing extraneous in. Audiences want stories to make sense, pronto, and continuously. So you learn to feed them the story in bite-size pieces, story beats, so they can put the whole thing together in their heads and follow. It is an awesome discipline to acquire – and the results, in terms of the ability to do good dialogue in fiction, are equally awesome, so much so that stripping a scene I’m editing down to ONLY the dialogue, and walking through it as if I expected it to be performed on stage, is now one of the basic steps in my process, and a step that often shows exactly where the flaws are. * CAUTION: Even though they share similarities, movie scripts and plays are ENTIRELY different beasts. I don’t recommend (unless scriptwriting is your form and dream) writing a movie script unless you are a masochist: EVERYTHING is up for grabs in a movie, and even the actors have no compunction about slaughtering your words. This entry was posted in Writing - how to and tagged dialogue, playwriting, plot holes, plotter vs. pantser, scene template, the creative process, writing on November 16, 2012 by Alicia Butcher Ehrhardt. We are like gods creating when we write. We are also like the movie version of Dr. Victor Frankenstein: we take ideas from all places, cobble them together, dress them up in fancy words, and let them loose on the world. Before we send them out, though, all those pieces have to hang together. They have to tell a story. And stories are written in scenes, and, if the story is long enough, the scenes are organized into chapters. After many years, I have a pretty stable version of my chapter and scene templates. I’ll explain what I put into a scene template in a series of posts. Feel free to use and adapt. I am a Plotter. In writer terms it means that whatever stuff I accumulate for the story, I will eventually still need to give myself a pretty complete structure to work around. The basic story questions are all in hand before the major writing starts. I suppose, for me, it is that I hate losing interesting bits – I would rather not create them in the first place: creating is hard. Even when I just write, and follow my bliss like a true Pantser, it is only exploratory writing, done just as much as necessary to provide the first glimmerings. I’m not saying plotting and outlining and similar structural methods are the right way, or the only way (clearly they are not); only that it is MY current way. I do my main plotting in Dramatica. Though Dram has a steep learning curve and arcane terminology and downright frustrating questions to answer, I find that when I’m done the story feels complete. YMMV. So the first thing I gather for the scene is a list of appreciations – bits of character, plot, and theme, and what they call ‘genre’ which is what KIND of story it is within the category of similar stories. There are other systems of structure. I also include in the scene structure things like Save the Cat beats (STC appreciations), and story pieces from The Key structure created by James N. Frey. This would be a place to add ‘stuff’ from any other plotting system you want to use that seems to fit best in this particular scene. For me, a complete structure from beginning to end, a list of Chapters and Scenes, each with the ‘stuff’ (appreciations in Dramatica-speak) that has to be illustrated in there somehow, is a requirement to avoid leaving something out. I write erratically, with a small part of a usable brain, when it feels like it – without a structure to return to each time, I would be lost. The template collects all the bones of the scene, every piece of information I have created for the structure. I fill in the template before I attempt to write the scene. In revising each scene, part of my process is to X-ray the structure to see if it still works, and if the answers I’ve filled in previously still accomplish the ‘Purpose of the scene in the book’ as a whole. If not, I set the muscles and skin aside, rearrange the skeleton, put such pieces of flesh back on as still twitch, add new flesh as necessary, and cover with regrown skin. Kind of like forensic anthropologist Dr. Temperance Brennan does on the TV show Bones – except I expect my resurrected scene to get up, skate around, and hold hands nicely with the rest of the scenes in the book to crack the whip. 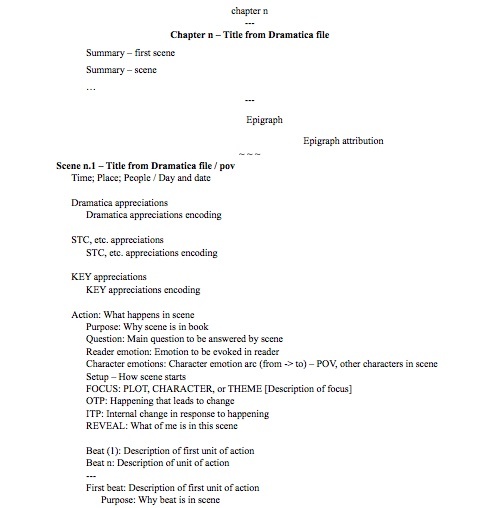 Below is the chapter and scene template*, with the framework of the chapter template around it. I’ve already discussed the Questions – the main one answered by this scene, and the Questions I leave scattered behind like breadcrumbs – in Part 1. It is my job as storyteller to ask and answer these in such a way as to help the reader create the experience of story; it helps to actually write them down. Each scene in a chapter is a short story: it has a beginning – and a FIRST LINE. It has an end – and a LAST LINE. In the middle is a collection of beats, one per event in the scene. Each beat is a tiny chunk of story, and a set of them, in some deliberate order, makes up what happens in a scene. So far, obvious. I’ll describe more in future posts. This entry was posted in Writing - how to and tagged plotter vs. pantser, scene template, structure, writing on October 13, 2012 by Alicia Butcher Ehrhardt. Have you had questions when you finished a story? Such as wondering why they made a big deal of the dog following the General before that first big battle? Did you wonder how or why the dog would be important? Whether it had a special relationship with its owner? Whether it might save his life in battle? In movies this is called a continuity problem. Movie viewers are conditioned to expect that anything given significant screen time will be intentional – and be connected in by the end. In stories, these questions often happen because the writer set something up – and then forgot about it, leaving a hanging thread on the back of the story tapestry. Not all of these are caught on revision, either, even if the editors are keeping exhaustive notes. But when a story is exposed to a larger number of readers (this is called publication), the plot holes can become glaring, and the repair job is major. Extremely detailed outlines may help. But extremely detailed outlines are a pain to change, and many writers (including me) don’t like to do the maintenance required to keep a complete outline current with the story. I think the reason is that the detailed outlines are meant to cover the whole story – and thus are very long. My solution is to keep it at the scene level. Before I write/revise a scene, I make myself fill in/edit a short template for scenes, the pieces of which I’ve pulled together out of a bunch of books. Many writers create some kind of an outline before they write a scene, but when the scene is written, and that structure skeleton is covered by words, the outline is discarded, never to be used again. ‘Unanswered questions’ is where I keep track of the questions the reader will have when this scene is over. Beyond the obvious ‘What happens next?’ each one of these questions MUST be answered in a future scene. Somehow. No exceptions. Many of these questions WILL be answered by the upcoming scenes organically, and need no special effort (except keeping track of the answer scene’s number). The template entry ‘Question(s):’ thus becomes ‘What is the reader going to learn about the story in this scene?’ Simple. It may seem like a lot of extra work up front. But when the story is finished, I have a cumulative list of all the questions I left in the reader’s mind – and I KNOW where each question is answered. Keeps me from leaving those irritating lost threads and plot holes. This entry was posted in Writing - how to and tagged continuity, plot holes, scene template, structure, writing on October 2, 2012 by Alicia Butcher Ehrhardt.